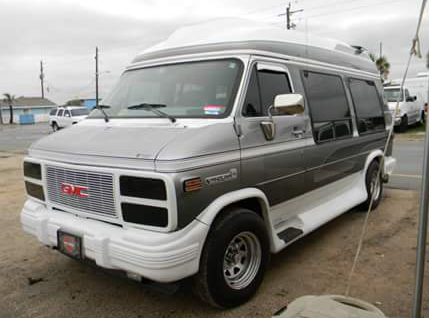 I first saw this '95 GMC Van at the Council of Councils in New Orleans in February 2014. I was talking to DanO in the parking lot of the host hotel when I saw it there. DanO said that Bones from SEVC owned the Van. It was almost love at first sight. 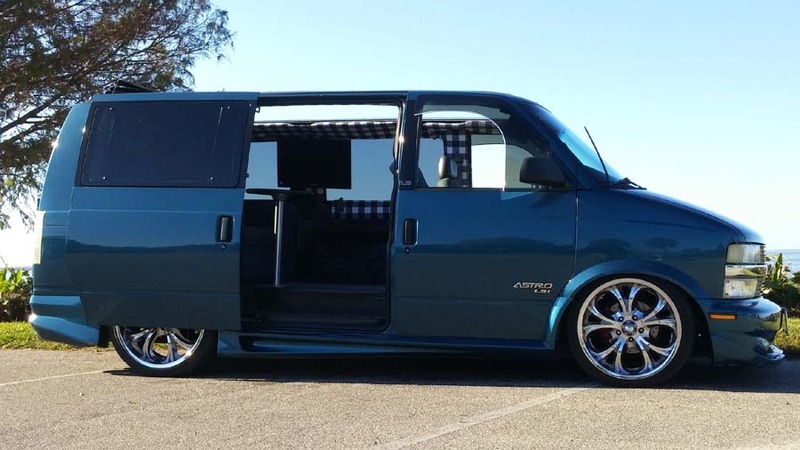 I didn't give the Van much thought after that until I saw it again at Beverly Beach in May of 2014. Bones hinted he might be interested in selling the Van. After months went by, he called and said he was ready to sell. 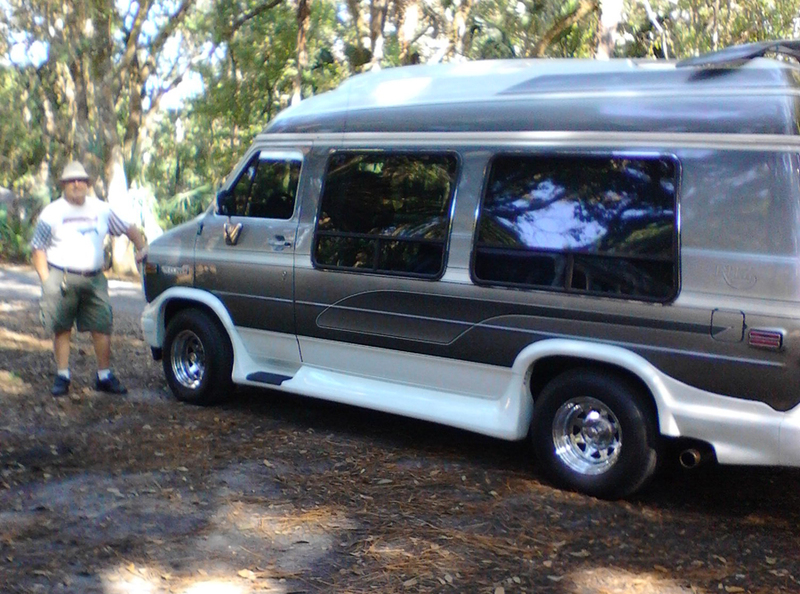 He brought the Van to Zephyrhills and the deal was made. The following weekend, we took the Van on its first road trip, to the Carolinas. 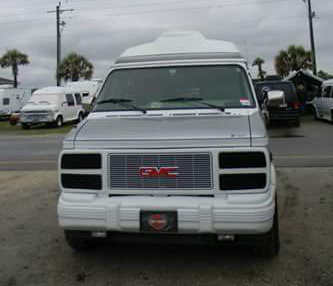 It ran great and the leather seats added more comfort to the trip. Although the bench seat folded to a bed, it didn't have the comfortable feel that we were used to sleeping on. 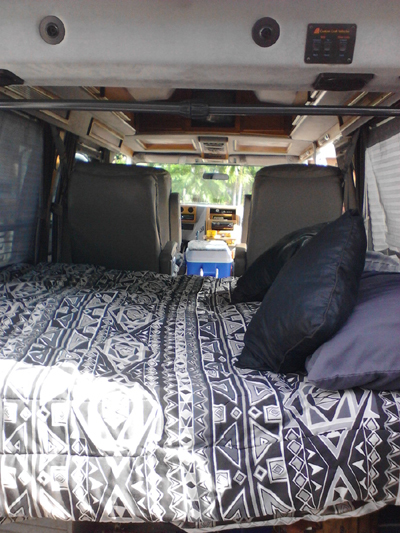 I switched the bed from Iron Van II to this Van, which gave us more cushion and storage space underneath. Also, the rally wheels and 60s tires were switched to this Van. The only other addition will be the sun visor that I kept from the '87 Van. Having owned it for only ten months, it has been a pleasure.